UFC Fight Night 99 Predictions: Will Uriah Hall Add Another Knockout? The UFC will look to continue the momentum of last week’s blockbuster UFC 205 with a doubleheader of events on foreign soil this weekend, with the first event, UFC Fight Night 99, going down in Belfast. 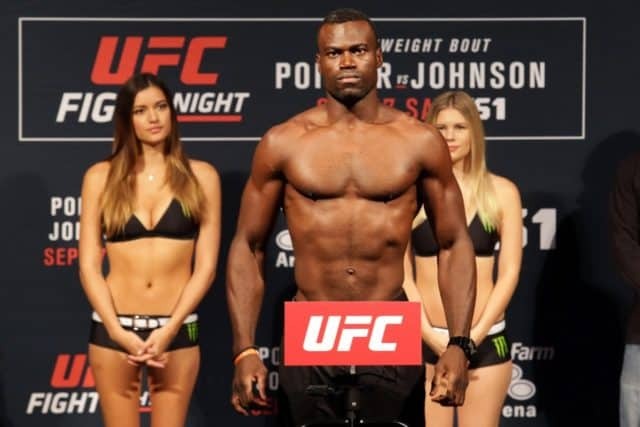 Veteran middleweights Gegard Mousasi and Uriah Hall will face off in a main event rematch of their shocking first bout at UFC Japan last year, where Hall knocked out the stalwart former Strikeforce champ with a monstrous spinning heel kick followed by a flying knee. 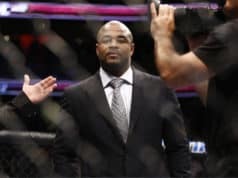 “The Dreamcatcher” has been fighting like a man possessed ever since, however, while Hall has dropped two straight to surging competitors Robert Whittaker and Derek Brunson. The first fight between these two drastically different fighters left me with my jaw agape just like everyone who watched it, and Hall flashed one of those elusive moments of just how dangerous his unique striking skill can be. Aside from his flashy arsenal of tools, Mousasi brings a more reserved boxing attack and a wholly dangerous ground game as well, making him the far more well rounded fighter. ‘The Dreamcatcher’ comes in a huge -525 favorite according to BigOnSports.com, a surprising line considering how Hall brutally beat him in their first meeting. Yet Mousasi has been on fire as of late, defeating three straight strong contenders. I think he uses his jab to work his way inside of Hall’ kicks, taking the fight to the ground for the win. Mousasi by first round submission (rear-naked choke). This is a tough one to call, with both men experiencing highs and lows inn their respective careers. Uriah Hall smashed Gegard Mousasi last time out, but ‘The Dreamcatcher’ has been rampant since then. My gut tells me experience will win the day in this fight, Mousasi by submission. Hall is obviously an explosive striker with legitimate finishing ability, and he may have a slight mental advantage here given the fact that brutally knocked out Mousasi back in September 2015. With that being said, however, I feel as if Mousasi is the far superior fighter. The Dutchman possesses a high-level kickboxing background and a strong submission game that is, at times, over looked. I expect him to be more cautious on the feet this time around before taking the fight to the canvas and finishing Hall off there. Mousasi by second-round submission. This fight is a close match-up in my opinion, as Ray will certainly be motivated by the close-to-home crowd while Pearson is a tough out regardless if he’s largely alternated wins and losses in the last several years. ‘The Real Deal’ has his back up against the wall after two losses, and Ray is hungry to bounce back from his first UFC loss in four fights. The odds are matched evenly at -110 for each fighter according to BigOnSports.com, and I expect the Scottish fighter to edge out a slight upset in Belfast. Ray by split decision. 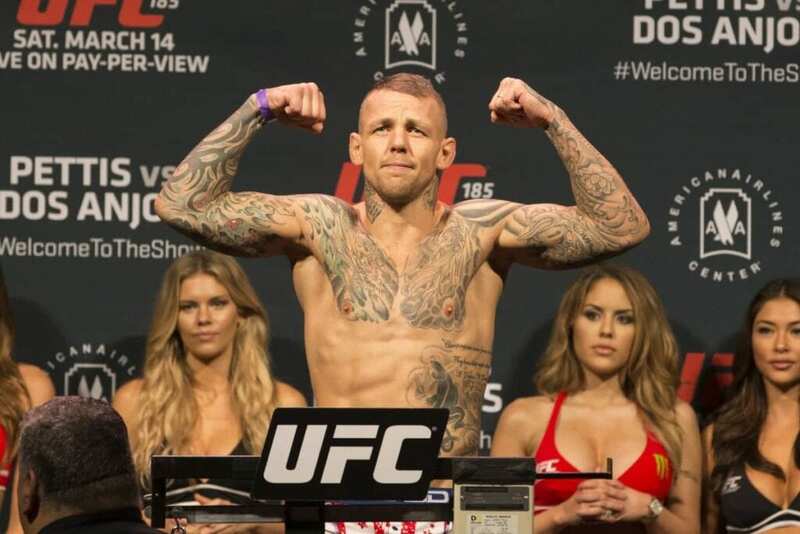 Ross Pearson has proved to be a tough nut to crack in the past, but Stevie Ray has looked promising in his young UFC career. Keeping in line with the main event, I feel Ross Pearson has the edge in experience, and I like his boxing in this pairing. Look for nice footwork and big body shots en route to a decision win for Pearson. Pearson is a battle-tested, durable veteran with well-rounded skills, but he’s hit some rough times as of late, losing three of his last four bouts. Ray is also coming off of a loss, but prior to that he had won an impressive five straight. This is a pick ‘em fight for me, but I feel as if the younger “Braveheart” will outlast his veteran foe in this bout. Ray by unanimous decision. NEXT: TUF 24 Finale Predictions: Can Anyone Stop Demetrious Johnson?